Ready to Register? Go Now! This year we have two full day workshops and one half-day workshop scheduled for Wednesday, May 18th. Whether you need DAS credit, disaster preparedness know-how, or exhibit planning for a special collection, one of these workshops will fit your needs. Registration is separate from the annual conference itself, so be sure to register for both! Follow the links for more details and registration. This year's conference promises to be one of the best. In addition to the repository tours, receptions, and stellar educational sessions, we also have a wonderful plenary speaker and special Saturday afternoon programming sure to reinvigorate your mission. Click here for the Preliminary schedule (session descriptions coming soon). Choose from three informative workshops. Whether you need credit for your Digital Archives Specialist certification or some digital training; want the know-how to prepare for and recover from disasters; or need to know how to put up a display to highlight a collection from your archives, one of these workshops is bound to meet your needs. Meet up with your SSA friends and contacts at the conference hotel Wednesday evening. Enjoy the taste of Oklahoma City and meet the Local Arrangements Committee over a complimentary cocktail. Reception will feature filling finger foods, one free drink ticket, and a cash bar till 9pm. Meet us in room 14 on the second floor of the Renaissance Hotel. Our program is packed with six session blocks that include panels, boot-camp-style training sessions, traditional educational presentations, a lightning session with short single papers, and a poster session. Among the presentations that will broaden your knowledge of current archival issues are traditional sessions on such diverse topics as teaching archival literacy to college students, ethnic immigration collections, digital humanities projects, digitization of various kinds of materials, and collaborative projects. Our speaker this year is Brenda Toineeta Pipestem. She serves as the Chair of the Repatriation Committee of the Smithsonian's National Museum of the American Indian Board of Trustees, an Associate Justice for the Eastern Band of Cherokee Indians Supreme Court, an Associate Justice for the Mississippi Band of Choctaw Indians Supreme Court. Pick from a choice of three repository tours: the Oklahoma History Center, the National Cowboy & Western Heritage Museum, and the Oklahoma City National Memorial & Museum. Each tour is free of charge and will include transportation to and from, a guided tour of the archives, and time to explore the museum exhibits & visit the guest shop. Grab your lunch (plenty of choices nearby) and enjoy a presentation on Texas Archival Resources Online (TARO)'s progress over the past year while working through its NEH 21st Century Collaborative Planning Grant. The TARO Steering Committee will provide updates on plans to improve TARO via system platform research and testing, schema compliance, governance issues, and more. There will be plenty of time for questions and discussion. Anyone is welcome to attend, including those who are not TARO participants and those from other states who have an interest in EAD consortia. The All-Attendee reception is being held at the American Banjo Museum in downtown Oklahoma City from 6:00 - 9:00 pm. Just 2 blocks from the conference hotel, the ABM boasts a vast collection of instruments and a special exhibit about musician and comedian Steve Martin. A catered event featuring cash bars and live entertainment from local musician Bob French & Friends, this is an event you will not want to miss! Free transportation provided via the EMBARK Downtown Discovery line, tracing the heart of Bricktown and running every 30 minutes until 11pm. Just next door is Bricktown, filled with entertainment options. Start your morning off right with breakfast, a little business, and SLOTTO! Buy your SLOTTO tickets from the Scholarships Committee on Thursday or Friday and then join us after the Saturday business meeting for the drawing. You might win a cool poster, an interesting book, a tasty treat, or maybe a ceramic chicken!! The proceeds from SLOTTO raffle tickets support scholarships for archivists and students for professional development, conference attendance, educational support, and more. Spend the afternoon with conservator Rebecca Elder of Elder Cultural Heritage Preservation. Working in an archives without knowledge of basic archival procedures can be challenging as well as frustrating. In this afternoon class designed for beginners, we will discuss the basics of archival selection and processing as well as the fundamentals of preservation of archival materials. You will leave with an understanding of how to care for and provide access to your collection, as well as resources that will help you as you continue your work. There is no additional fee for this workshop, all registered attendees are welcome to attend. The Oklahoma History Center houses the Oklahoma Historical Society’s archives and the Oklahoma Museum of History. In addition to participating in and fully supporting the overall mission of the OHS to preserve and perpetuate the history of Oklahoma and its people by collecting, interpreting and disseminating knowledge of Oklahoma and the Southwest, the museum collects, preserves and interprets the complete history of Oklahoma for everyone. The museum features both indoor and outdoor exhibits showcasing Native American history, pioneers and landruns, cultural landmarks, and the history of Oklahoma commerce. SSA will be providing transportation to this site. 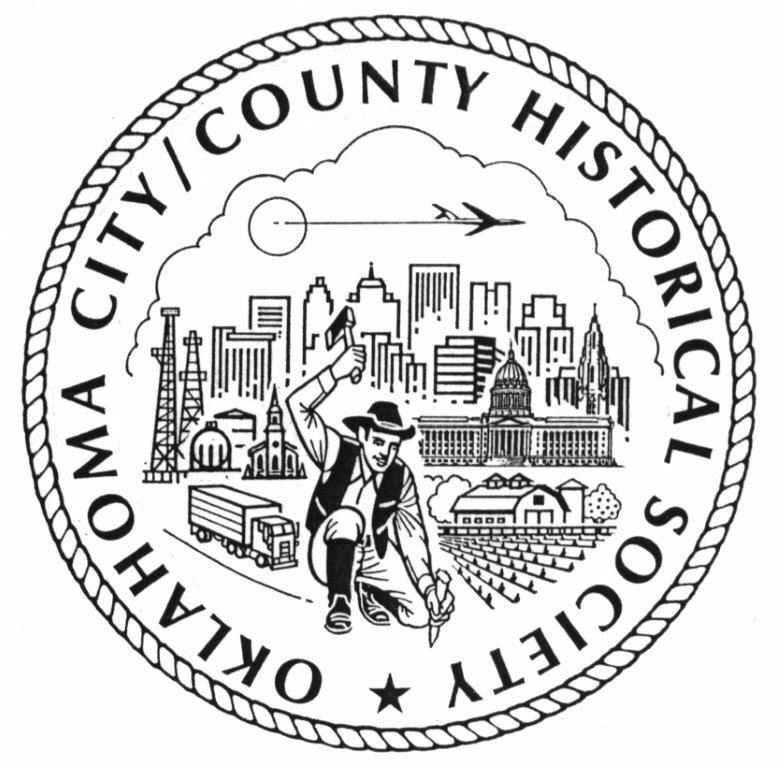 Information from okhistory.org. The National Cowboy Western & Heritage Museum is America’s premier institution of Western history, art and culture. Founded in 1955, the museum in Oklahoma City collects, preserves and exhibits an internationally renowned collection of Western art and artifacts. The museum features a superb collection of classic and contemporary Western art, including works by Frederic Remington and Charles M. Russell, as well as sculptor James Earle Fraser’s magnificent work, The End of the Trail. The exhibition wing houses a turn-of-the-century town and interactive history galleries that focus on the American cowboy, rodeos, Native American culture, Victorian firearms, frontier military and Western performers. The Donald C. & Elizabeth M. Dickinson Research Center (DRC) serves as the library and archives of the National Cowboy & Western Heritage Museum. Its mission is to preserve and document the heritage of the American West for the enrichment of the public. The DRC is actively pursuing collections of personal papers and business and organizational records that reflect and document aspects of Western history, culture, and art. The Center primarily seeks materials in the following five topical areas: Entertainment (Western popular culture), Western Art, Ranching, Native American, and Rodeo. SSA will be providing transportation to this site. Information from nationalcowboymuseum.org. The Oklahoma City National Memorial & Museum consists of two parts, the museum and the outdoor memorial. The Memorial Museum will take you on a chronological, self-guided interactive tour through the story of April 19, 1995, and the days, weeks, months and years that followed the bombing of OKC’s Alfred P. Murrah Federal Building. Touring the Memorial Museum is essential to understanding the story of April 19, 1995, and its impact. The Outdoor Symbolic Memorial is a place of quiet reflection. This Memorial honors those who were killed, those who survived and those changed forever on April 19, 1995. It encompasses the now-sacred soil where the Murrah Building once stood, as well as the surrounding area devastated during the attack. The Memorial Archives came into being in the fall of 1995. Memorial collections are incident specific to the April 19, 1995, bombing. The collections include all aspects of this incident including site history, records from the profrssional response, general public and media response, impact on the community, and investigation and trails. The OKC Memorial & Museum is a 12 minute walk from the conference hotel. The Museum can also be reached on the free Downtown Discovery shuttle. Information from oklahomacitynationalmemorial.org. Registrant must be logged in as a member of SSA. Non-members of SSA. Available until April 15, 2016, after which non-member registration will cost $225. Registrant must be a student. Available until April 15, 2016, after which student registration will cost $105. For spouses or traveling companions who want to attend tours &/or events. It will be $25 per event, whether tour or reception. Registrants will only attend sessions and events on Thursday, May 19. Registrants will only attend sessions and events on Friday, May 20. Registrants will only attend sessions and events on Saturday, May 21 from 10:30am to 5pm. Scholarship winners, Et al. Code required. The conference hotel group rate is no longer valid past April 18, 2016. There are many nearby lodging options in downtown Oklahoma City, please check the Oklahoma City Convention and Visitors Bureau website.